wants it please bid or BUY NOW !!! I have other GAMMA-ATTACK items up for bid, also. I have a feeling that Dino will be kicking himself when he finds out how much this will sell for. There's the truth, and then, there is the TRUTH. 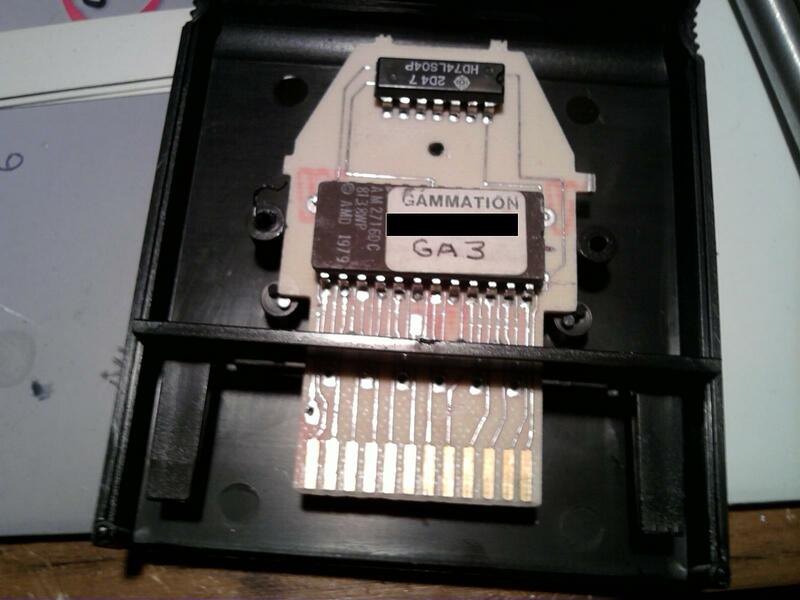 To get maximum dollar for the last copy ever made of Gamma Attack, I would put pictures of the inside of the cart. Can we please see some pictures of the inside of the cart? With that information, I would put in a nice bid for this game and I am a serious Atari collector. Moreover, you would get a very nice amount of $$$ with that information at-hand. It will also rule-out any rumor of this cart being a repro. Just my two-cents since I am VERY interested in this cart and will pay top dollar if I can see pictures of the inside. I wish I had a snowball's chance in hell of winning this cart as it is only an hour away from here. If I myself were bidding, I'd try to arrange to see it in the flesh . Btw, what the hell is it with all of this good loot lurking around the Cincinnati/Dayton area that I'm not finding . It's on a 4k atari board with an eprom and an inverter attached to it. Same goes for the one you have. really? I was sure from the pics posted on the gammation site that it was hooked up with an inverter. That is not the board from the inside of that cart, trust me. So that means there is at least 1 more then (???) 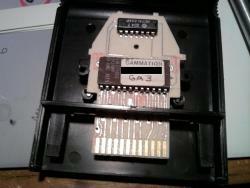 cause the Telesys PCB that would fit in that exact shell is not pictured but an Atari PCB is. Intresting. Edited by Dino, Mon Dec 14, 2009 5:35 AM. You do realize the picture of the cart he has up for auction is the same exact picture on his site, only with the background edited out? I want everyone to take a closer look at both pictures. All the smudges are the same, all the scratches on the cart are the same, and sticker, and coin are positioned exactly the same. It is the same exact picture. If this seller is selling a Gammation cart other than the one pictured on his website, than for whatever reason he has not taken a picture of that cart, and shown it. I really don't get why the seller would not do that. Were talking about a cart worth thousands of dollars, not $5. Glad you cought that also Homer! Just out of curiosity, what was the BIN? Not sure I understand, I only have one cart and used the same pic . Not sure that I should post the inside. Anybody could then make a fake. Showing the pics will clear-up everything....trust me. The inside pics could be the difference of adding one more digit to the final price. Besides, it is impossible to duplicate the inside parts from the 80's...trust me. It is impossible to duplicate age inside the cart. So, please, let's see the inside so that I can get my bid ready. Well you might as well add your initals to the label on this cart also. Noticed that it is still at $455. I really believe that it would be higher had the seller just put in the title Atari 2600. Heck even Atari would of been better. The only people who know about this auction are the people on this site. Although this site is big for collectors, there are collectors who could care less about video game forums to begin with, and only care about collecting. Major auction title fail in my opinion.